Chilly car? K-Seal will permanently repair most leaks in the heater core. What Are the Symptoms of a Heater Core Leak? You may also find that your heater core is making gurgling noises or hissing sounds from behind the dashboard. How Much Will Heater Core Repair Cost at a Garage? While the cost of a replacement heater core part isn’t particularly high, there is a large amount of labour involved. The dashboard has to be completely removed to access the area where the heater core is located and, while the actual job of replacing the heater core isn’t particularly complicated for a competent mechanic, the whole task can take several hours. It may take longer depending on the type of vehicle being worked on, and this means that the costs of the job may stretch into the thousands, and certainly the hundreds. Can K-Seal Fix My Heater Core? If you’re looking for a heater core leak quick fix, then you’re in luck — K-Seal will fix most leaks in the heater core. When using K-Seal for this type of repair make sure that the heater is switched to maximum so that it flows through the pipes and reaches the leak, permanently sealing it. Want to get hold of a bottle to fix your heater core? Use our simple stockist search facility and get back on the road – fast. What is a Heater Core? 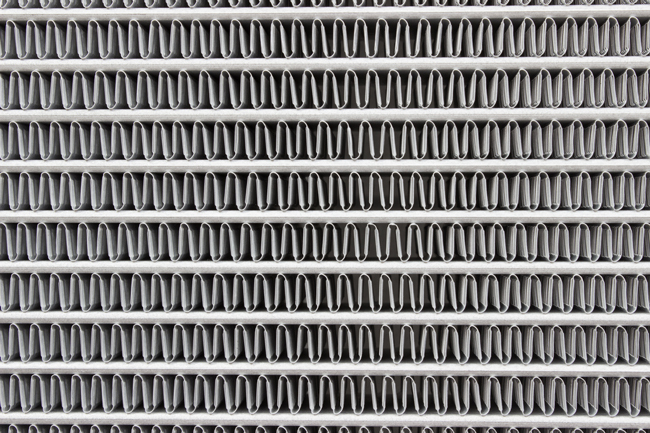 The heater core is also known as the heater matrix. It works in a similar way to the car radiator but, instead of removing heat to the outside air, it transfers heat to the vehicle interior to help keep you warm. How Does a Heater Core Work? The heater core is a small radiator which uses conductive brass or metal tubing and a fan to transfer heat from hot coolant making its way around the cooling system out into the air of the interior of the vehicle. In this way it can provide heat to the driver and passengers during cold weather. Why Do Heater Cores Fail? The tubing that makes up the heater core can become clogged over time with dirt and other contaminants that can be picked up by the coolant if the heater core is not flushed out and replaced on a regular basis. This will eventually lessen its effectiveness and it may stop working completely if it is not maintained. Additionally, leaks can be created via electrolysis, which is a chemical reaction that sees electrical current flowing through the coolant and eating away at the tubing of the heater core. It can eventually make the heater core tubing spring a leak. The hole created may only be the size of a pinhead, but it will be enough to ensure that the system stops working properly, and will only get worse with time. Could Other Parts of My Engine Be Affected? Although your heater core could be the source of your engine troubles, it might not be the only component you need to take a look at. Select an engine part in the interactive diagram below to explore your engine and the important components that keep everything ticking over. Still not sure what the problem is? Try our 60 second problem solver to quickly identify what the issue is based on your symptoms. Head Gasket Failure? Cracked Head or Block? Have any of these symptoms? K-Seal could save you thousands on a workshop repair. Search for a stockist today! Lines are open Mon-Fri 8:30am – 4:30pm EST. Copyright © 2017 K-Seal International Ltd. All rights reserved.